Hiring a pool cleaner may entail a bigger upfront expense but it’s the most reliable way of keeping a clean and safe pool. Going the DIY route may be costlier in the long run, as you will need to purchase a specially-designed vacuum or a mechanical pool cleaner. Whichever option you choose, you will need to have the pool cleaned every week. Aside from implementing a weekly pool cleaning strategy, you will need to manually remove leaves, twigs and debris from it twice or thrice a week. Use a long-handled pool net to remove the debris floating on the water. You can use a long brush to remove rubbish from the bottom. A pool with incorrect pH levels can cause swimmers to have itchy skin and red eyes. It can also reduce the effectiveness of chlorine. 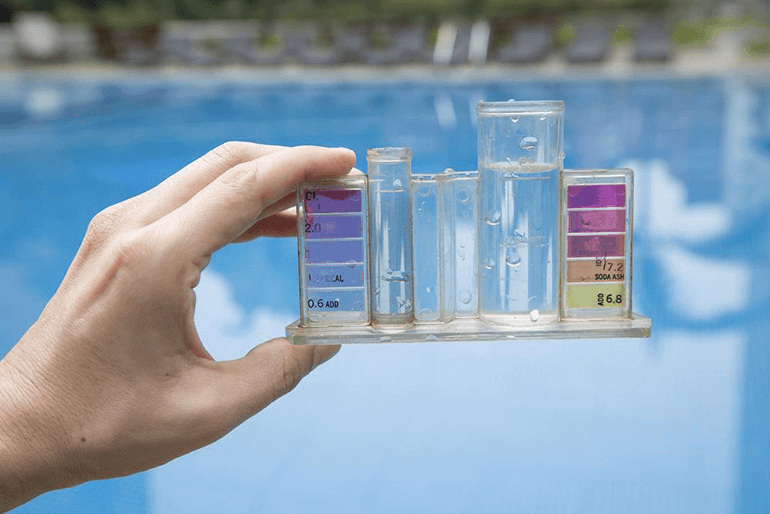 In Australia, the standard pH for pool water is 7.0 to 7.8, with 7.4 being the recommended measurement. To raise pH levels, pool cleaning experts will usually add soda ash (which is alkaline). To lower the levels, they will add pool acid. Total alkalinity (TA) pertains to the total amount of alkaline substances present in the water. Low TA can cause the water to turn murky and swimmers to have burning eyes. High TA, on the other hand, can irritate a swimmer’s skin and lower the chlorine’s effectiveness. The Australian Standard recommends that a pool’s TA level be 60 to 200 parts per million. To raise a low TA level, sodium bicarbonate is added. To lower it, you will also have to add pool acid. 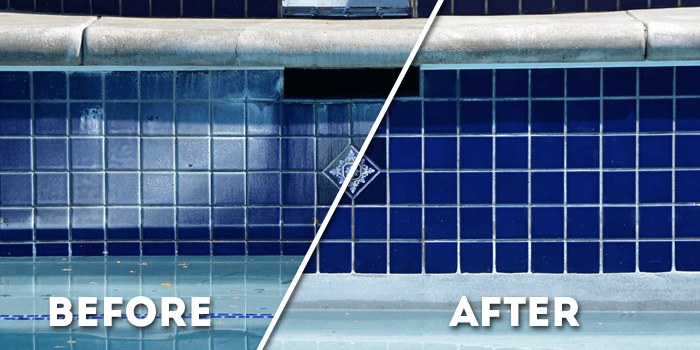 Low levels of dissolved calcium in pool water can corrode pool equipment and cause your pool’s previously smooth interior finish to become etched and full of unsightly pitting. High levels, on the other hand, can create scale. To prevent the harsh effects of low or high calcium hardness, experienced pool cleaners will ensure that the calcium levels range from 200 to 400 ppm. They will have to take a sample of your pool water to a pool shop for testing. To increase the level of calcium, they will pour calcium chloride directly into the pool. Chlorine in a pool kills different types of viruses, bacteria and organic matter such as sweat, urine and faecal matter. It disinfects the water to remove pathogens that can harm swimmers. To add chlorine to your pool, your pool cleaner will use a liquid chemical feeder. If you have a saltwater pool, having a salt chlorinator installed during pool reconstruction or construction is recommended. Every two weeks, give your pool an effective shock treatment. This means pouring high dosage of chemicals to restore sparkle to the water and eliminate germs and organic contaminants. An experience pool cleaning team will know the right way to shock your pool according to the specifications on the product label. They will provide safety precautions you need to abide by during the process such as no swimming allowed for several hours following a chlorine shock treatment. To always enjoy a refreshing and safe dip in your pool, follow the tips above to keep the water healthy and conducive for swimming and other activities. Looking for more ideas on proper pool maintenance and construction? If you’re looking for more information on pools or landscaping services in Sydney, please get into contact with us and we can provide you with further assistance. Book a free on-site consultation now by giving us a call on 02 9548 6024.